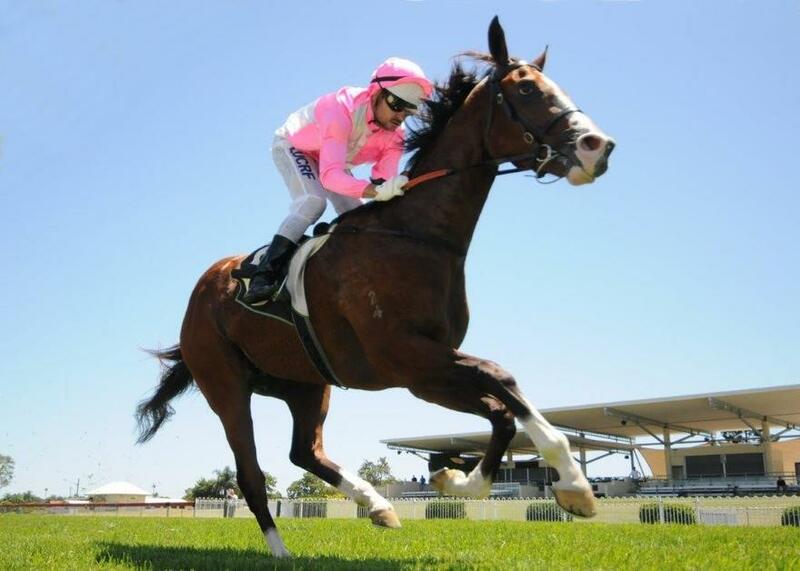 Talented gelding JOHNNY WHITESOX kicks off his preparation tomorrow as one of three stable runners with strong claims at the Doomben meeting. The Show A Heart gelding has recorded three wins and two minor placings from eight starts to date and heads into the race off a barrier trial win at Doomben on August 21. Also resuming tomorrow is the talented MARTINELLI, who has benefited from two barrier trials leading into his first-up assignment, while GLOBAL CHOICE is chasing her first win in the 3YO Fillies Handicap (1200m). TRAINER COMMENTS: "I've decided to send him around tomorrow at Doomben, he's drawn well and the likelihood of a little bit of rain certainly enhances his chances. Although the race at the Sunshine Coast on Sunday probably looked an easier race, we know that he races very well fresh and he's a good first-up horse. He's had two trials and is fit enough to go into this race as a genuine chance. If Mark can control the speed from the front, we know what he's like - he's a real bulldog and a real tryer - and I'm sure he'll give his all." TRAINER COMMENTS: "I've decided that I will send her around tomorrow at Doomben as I was much more confident and comfortable going to the 1200m at Doomben instead of the 1000m at the Sunshine Coast on Sunday as I think that's just a bit short of her best. I think outside of the favourite Asharani, it's an open race so I'm happy to take her on. Larry will put her in a forward spot there and the rest will be up to her up to finish off strongly. Even if she can run second to a horse like Asharani I certainly don't think that would be any disgrace and who knows she may even well beat them." TRAINER COMMENTS: "I'm really excited to get him back to the races. He's only had the one trial but it was a nice trial and he's the sort of horse in my opinion that doesn't take a lot of time anyway. From the good draw tomorrow I'd expect Mark to ne able to use that to advantage and have him back off the speed somewhere and hopefully if he can show his normal finishing burst, he'll certainly be hard to hold out late."